Eleven Saudi women flew out to the Nepalese capital Kathmandu last night on the first leg of their two-week journey to try and scale Mount Everest. Breast cancer is the most common cancer among Saudi women. Around 8,000 cases are discovered each year of which 50 to 60 percent are diagnosed at a late stage. Despite government efforts, the rate of breast cancer has climbed from 7.6 percent 10 years ago to its current high of 24 percent of all cancer cases. Women over the age of 40 are at high risk and early diagnosis is key for increasing survival chances. All 11 Saudi women taking the breast cancer fight to the earth’s highest mountain, with a peak at 8,848 meters, on the Nepal, Tibet and China borders, have relatives or friends who fought or are fighting the ailment. 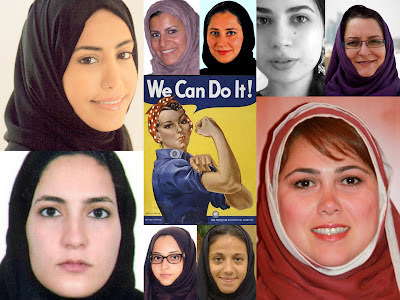 Led by HRH Princess Reema Bint Bandar Bin Sultan Bin Abdulaziz Al Saud, the driving force behind the May 7-21 campaign, they are: Alya Al-Sa'ad, Hatun Madani, Mona Shahab, Noura Bouzo, Leena Al-Maeena, Samaher Mously, Asma Al-Ghalib, Mashael Al-Hegelan, Hasna’a Mokhtar and Raha Moharrak. PRINCESS REEMA is president and CEO of ALFA International and AL HAMA LLC, two leading luxury retail conglomerates. The groups operate the Harvey Nichols department store in Riyadh. Raised and educated in Washington, D.C., she earned her B.A. from George Washington University. Upon her return to Saudi Arabia in 2002, she cofounded Yibreen, a women's day spa in Riyadh. Princess Reema is also a founding member of the Zahra Breast Cancer Association and sits on the Board of Advisors of the Institute of Civil Leadership. She is the granddaughter of the late Crown Prince Sultan, who passed away last October. Her father, Prince Bandar, was Saudi Arabia's ambassador to the United States from 1983 to 2005, when he was appointed Secretary-General of the National Security Council. ALYA AL-SA'AD was born and raised in Saudi but is currently living in Portugal. “I am passionate about sports and adventure activities,” she wrote on the group’s Facebook page before heading to Mount Everest. “I divide my time between seeing my family in Saudi and chasing my next dream of becoming the first ‘Arab Middle Eastern female surfer in history’ with the help of my personal trainer (my husband) and Algarve Surf School in Portugal, where we also have an outdoor adventure business. “The next challenge after the surfing will be to compete in the Tour De France cycling competition… I eat straight from my organic vegetable garden and enjoy the seafood that the Portuguese coastline has to offer! HATUN MADANI, from al-Madinah al-Munawarah, is a 37-year-old mother of three supportive children aged 16, 13, and 10. She graduated from Mount Vernon College in Washington DC and is currently living in Dubai and working as a Senior Property Advisor. She is passionate about cooking and is always up for a challenge and a new adventure. Hatun will be climbing for her friends Sara and Deema Balhejaila. MONA SHAHAB likes to describe herself as "a citizen of the world". She is a proud Boston University and Tufts University alumni, where she studied Child Clinical Psychology. She is passionate about working with children and is addicted to tennis. She loves the outdoors, the ocean, sports, adventure, history, Africa, new cultures, books, Gandhi, and a good meal. She will be climbing on behalf of her aunt, a family friend, and the women of ‘Lahnat Al-Amal’, a support group at the Saudi Cancer Foundation in the Eastern Province. “I lost one too many friends to cancer, therefore I will do anything and everything in my power to advocate a healthy lifestyle. NOURA BOUZO is the co-founder and creative director of Oasis Magazine, an Arts & Culture and Lifestyle publication. She studied Fine Arts and holds a Masters degree in Art History. Noura will be climbing for her cousin. LEENA AL-MAEENA is the cofounder and director of Jeddah United Sports Co., the first private Saudi sports company targeting males and females, and captains Jeddah United’s women basketball team. Leena is also a regular guest speaker on women and sports in Saudi Arabia at local and international forums and conferences, her aim being to promote sports locally and change stereotypes of Saudi women internationally. She will be climbing for Dr. Samia Alamoudi, the icon for breast cancer awareness campaigns in Saudi Arabia and the Gulf Cooperation Council (GCC), for her cousin Aisha Al-Khateeb, a breast cancer survivor, as well as for her friends Deema and Sara Balhejaila. SAMAHER MOUSLY, an analyst at Elixir Consultancy firm, is an American University in Cairo (AUC) graduate in Actuarial Science with a minor in Economics and Computer Science. She will be climbing for her aunt Hannan. ASMA AL-GHALIB, a former AUC student, is a native of Jeddah, where she currently works as a journalist. She says she is most eager to spread awareness of the importance of healthy living and regular exercise in helping ward off breast cancer. MASHAEL AL-HEGELAN, 36, is an internal medicine physician with a subspecialty in Pulmonary and Critical Care from America’s Duke University. She is an avid scuba diver and loves horseback riding as well as reading. “This journey is amazing in its purpose, uniqueness and the symbolic meaning behind it. While the trek to Mount Everest base camp is to educate and spread awareness about breast cancer, many wonder how the two are related. “By taking this journey, we are saying Mount Everest can be climbed by your average person. It is only as scary as you make it, and one step at a time will get you to your goal and you WILL overcome the obstacle. Mashael will be climbing for her late grandmother Amal Shalabi who passed away in 1993 at the age of 55, her best friend Mervat Al-Ajroush who passed away in 2000 at the age of 33 leaving behind two children aged 11 and 7 at the time, and on behalf of another close friend, Muneera Al-Nahedh who is celebrating her 12th cancer-free year. HASNA’A MOKHTAR, 35, is an account manager at Adalid Public Relations – the agency organizing A Woman’s Journey: Destination Mount Everest. She volunteered in 2010 at Women Aware, a nonprofit organization based in Montreal that helps victims of domestic abuse. “I am taking part in this campaign because I am the account manager and in charge of working closely with HRH Princess Reema... I feel extremely privileged to have been given this once in a lifetime opportunity. I hope we can deliver the message across the globe and raise awareness about this fatal disease.